The tears that fell at the orchestra’s first notes surprised me. John and I attended a Christmas concert in mid-December with some friends. I was excited to relax and enjoy an evening out after a much too busy week. We were just five days away from our family’s Christmas celebration weekend and things were not coming together as easily as I’d hoped they would. (Why do I always wait to the last minute?) I was anticipating a great concert but I wasn’t aware that the Minnesota Orchestra would be playing. I’m talking the real deal – the professionals – at a church’s Christmas concert! I can’t remember the last time I heard an orchestra play. And to be honest, I don’t always enjoy the long songs, played in minor keys, that I’ve heard at orchestra concerts so you can’t really call me a lover of all things orchestral. But this was Christmas music and the amazingly beautiful sound that filled the room simply overwhelmed me, which was the root of those tears. The entire concert was magical. A 200+ voice choir, the orchestra, the kids’ choir, the soloists – all of it – was perfect. One guy sang “It’s Beginning to Look a Lot Like Christmas” with a voice that could easily compete with the likes of Frank Sinatra, Jr., Barry Manilow, or (for the younger crowd) Harry Connick, Jr. I had to chuckle a bit during his performance, not due to anything he did wrong, but simply about the song’s reference to the “Five and Ten.” I mean really, in another fifty years will ANYONE be left alive who will recall stores named the “Five and Ten?” The “Dollar Store” just doesn’t have the same ring to it. And the kids’ choir – oh there were some cute ones there. A little blonde girl who was so sweet and innocent looking I just wanted to scoop her up and bring her home (but I wouldn’t because that would be wrong – and because she’ll be a teenager soon enough.) Then there was the little boy who had me laughing as he took time out from his singing to examine the speck on his hand, and the other little guy who seriously considered picking his nose but decided against it JUST in the nick of time. There is always some serious entertainment when kids are involved. The concert concluded with a magnificent orchestral version of Stille Nacht. As the orchestra came to the end of the composition there was a point where, after a brief rest, the musicians played one extended note. (This is not unique to the Minnesota Orchestra, it’s written into the score.) 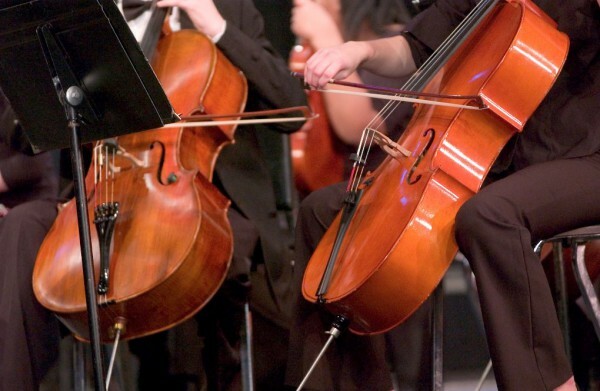 As each orchestra member played their ONE note I was overwhelmed, not only with the amazing sound emanating from this top-ranked orchestra, but also with the importance of everyone’s NOTE. At that moment it occurred to me how important it is that each of us play the note God has given us. Your note may be best played in the area of art. Are you gifted at designing things? Or are you the type to create special paintings and share them? Sewing, knitting, woodworking, metal crafts, sculpture, and hundreds of other mediums all add beauty to our world. Maybe your note is best played as a peacemaker. Whether you’re a police officer, a therapist, or the only one who is able to diffuse a family discussion that’s gotten out of hand, your role is invaluable. Perhaps your note is found in the kitchen creating delicious meals for your family, or for friends who are walking through tough times. Or maybe you even find yourself in front of a hot stove at a restaurant bringing delicious meals to hundreds of hungry people every night. Let me tell you, that is one FINE note to play. God has gifted every single person living in this world with a note to play; probably even more than one note. And when we all play our notes well, it can create a breathtaking harmony. On the flip side, if we refuse to play our notes a disturbing cacophony of sound erupts. Today I encourage you to find your note and play it well because right now this world needs to hear some beautiful music. This Christmas, I pray that God’s people will play well as we proclaim the birth of the only One who played his note perfectly – Jesus Christ! This entry was posted in Stories of Grace and Faith on December 22, 2014 by Nancy. Oh, I love that feeling of surprised overwhelming emotion at something like beautiful music. It happens to me all the time. Glad I’m not the only one, Beth!